When starting a new character, it can be easy to forget what all of your options are, as there are so many and the list keeps getting longer. 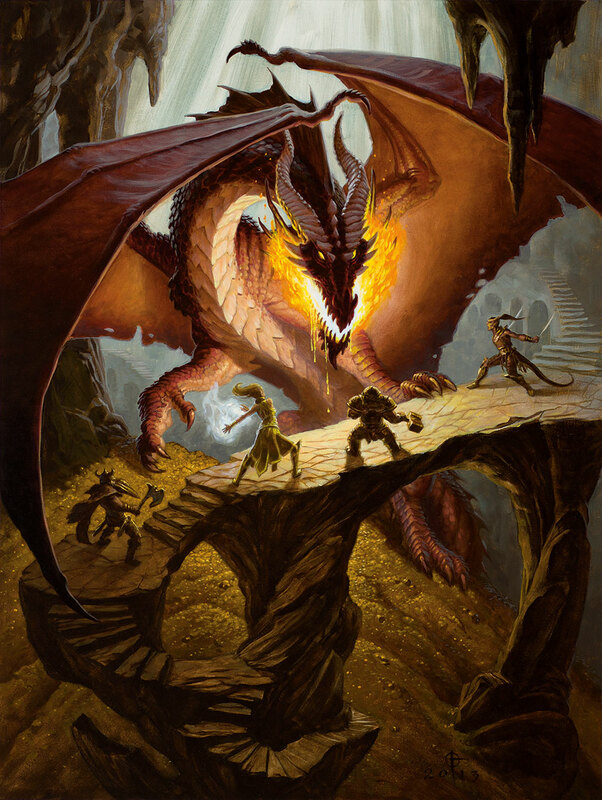 All of the class and race options currently available for DnD 5e are listed here, including those covered in Official Unearthed Arcana articles. You can find an appendix of terminology and referenced articles at the end of this document with links to everything. All Unearthed Arcana material is semi-unofficial and intended for playtesting. Ask your DM before using them. Deep Gnome N/A EE Deep Gnome (Svirfneblin) are presented as a full race in EE and a subrace in SCAG. Their traits are identical. Elf High, Wood, Drow, Eladrin(DMG Pg. 286), Eladrin (UA Eladrin&Gith), Avariel, Grugach, Sea, Shadar-kai (UA Elf Subraces) PHB An updated and fleshed out Eladrin subrace was later added in UA Eladrin&Gith. Gnome Forest, Rock, Svifneblin(SCAG) PHB Svirfneblin (Deep Gnome) are presented as a subrace in SCAG and a full race in EE. They are identical. Death DMG Villainous Class Options, Pg 97. Oathbreaker DMG Villainous Class Options, Pg 97. For Sci-fi and modern adventures, there are three subclasses available in UA Modern Magic: The City Domain Cleric, The Warlock of the Ghost in the Machine, and the Technomancer Wizard. I was made aware of some material authored by the team behind Magic: The Gathering at Wizards of the Coast. I don't feel I can responsibly include them along with the rest, but they are options, and they are technically by WotC, so I'll leave them to your discretion. As always, ask your DM. The material listed here is of varying sources, and each source has a certain set of expectations that come with it. Here I'll attempt to explain what, generally, is okay to assume at a typical table in my own experience. PHB - Always okay to use essentially every class and race mentioned. These are core rules, so this is almost always true. DMG, SCAG, EE, VOLO, XG - Classes and Races from these books are official, but may be considered unwelcome variants by some DM's and some stories. UA - The elephant in the room, UA are playtest material written by Wizards of the Coast, and while many DM's would love to see their cool new options at their tables, others have concerns about their balance and viability. Always ask your DM before using these. All Material by Wizards of the Coast.